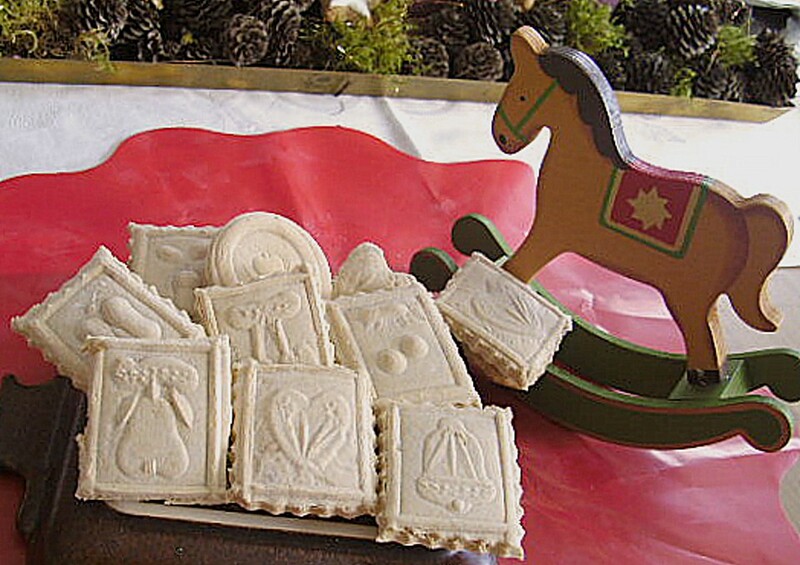 Springerle are classic German Christmas cookies with anise. Springerle are coming from the South of Germany, from Swabia, and they are not round, they are always having a rectangle shape. You need special forms or molds to make them but they can be purchased online. See the link at the bottom of this page. If you use a rolling pin don't buy the cheapest one as the ornaments are not always great. By using a rolling pin you would roll out the dough with a regular rolling pin, then dust the flattened dough with flour, gently roll the picture rolling pin over it and then remove any excess flour with a clean baking brush. If you are using a mold place a little bit of the dough into the mold then roll over it with a small regular rolling pin. Remove it carefully from the mold. Place them on a baking tray that is layered with baking paper and sprinkled with anise seeds. Every Springerle should have 4-5 anise seeds on the bottom. Important: Before you use the molds dust them every time with flour before you make a new Springerle! 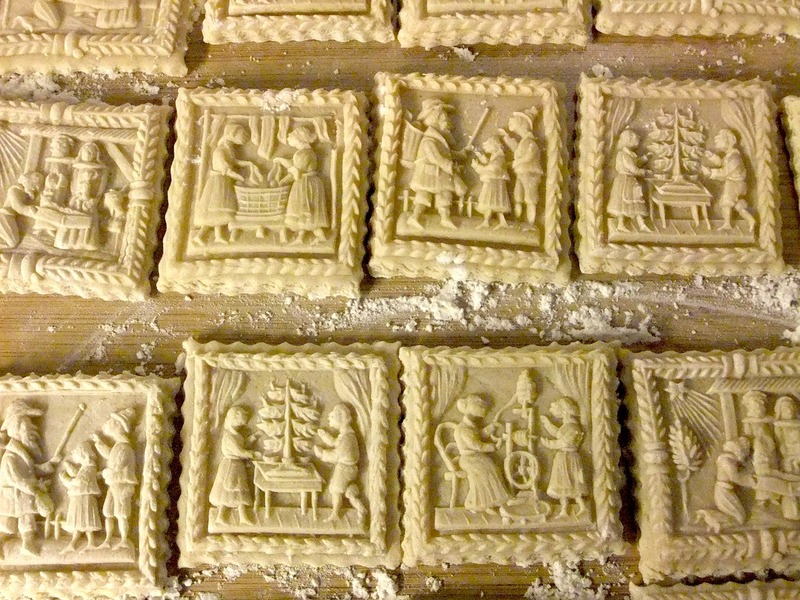 Otherwise there will be dough remaining in the carvings and this is ruining the beautiful designs. Don't use too much flour otherwise the Springerle become dry. - Beat eggs and sugar until foamy. - Add flour and baking powder or "Hirschhorn" salt, and anise. Knead to a dough, roll it, knead again, then let it rest for 1 hours at room temperature. - Roll dough 1cm thick and make Springerle by using molds or rolling pin to make the cookies - see Tips above. - Wax the baking trays with organic bee wax or layer with baking paper. - Keep Springerle for 24 hours in a cool room, so the egg yolk can settle and the egg white will raise in the dough. - Pre-heat oven to 300 F and bake for about 12 min. Don't bake them longer otherwise they become hard and dry. - The surface should always stay light and never get brown. - When they are done they are soft. Keep them in a big cookie jar and place a moist kitchen cloth over the top so they won't dry out. Enjoy them with coffee or tea and traditionally dip them! I placed it on the site where to buy it – it can be ordered online easily. baking powder is also a substitute.